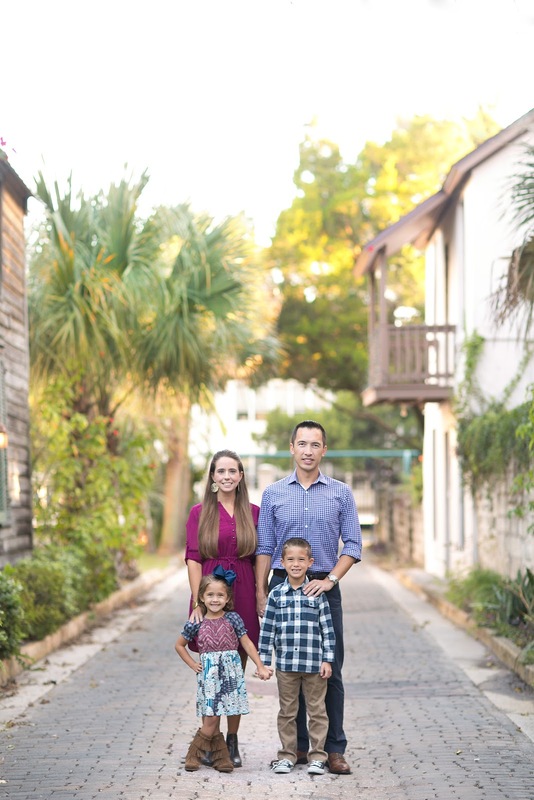 This year we did our family photos in historic St. Augustine. We actually wanted to do them in St. Augustine last year, but our photographer Jennifer was very close to her due date and couldn't travel quite so far. It worked out well, and our outfits last year were better downtown and Andrea did an amazing job picking out a cute set of outfits for us this year that looked perfect for Old St. Augustine. This year we took the pictures in early November and we were thrilled the weather was perfect. We saw a few of the photos on the photographer's camera and came away very excited. We were sure we got a lot of great shots. Unfortunately, when Jennifer contacted us she had very bad news. Most of the most important shots were ruined because the memory card on her camera had somehow gotten corrupted and we didn't have many pics at all. 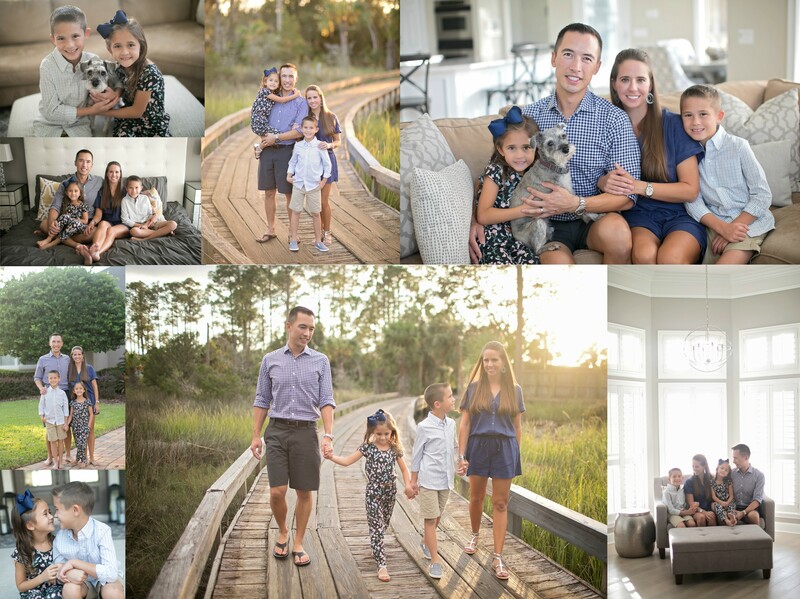 We had the option to just go with the photos that were ok, but we were pretty disappointed with most of them and opted to re-shoot. So, early December we went back down in our same outfits and got the rest of the shots that we'd missed out on. Thankfully we were lucky again and the weather was perfect again! The re-shoot photos were exactly what we were hoping for and we are very happy with the results. 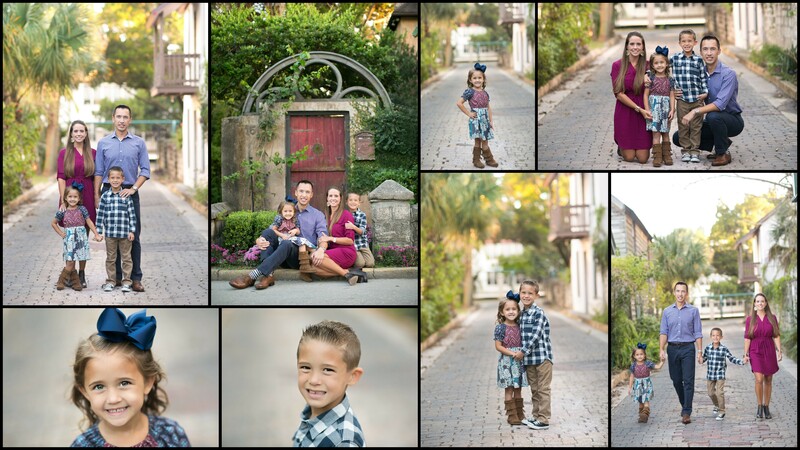 As usual, beautiful pictures of a very photogenic family.